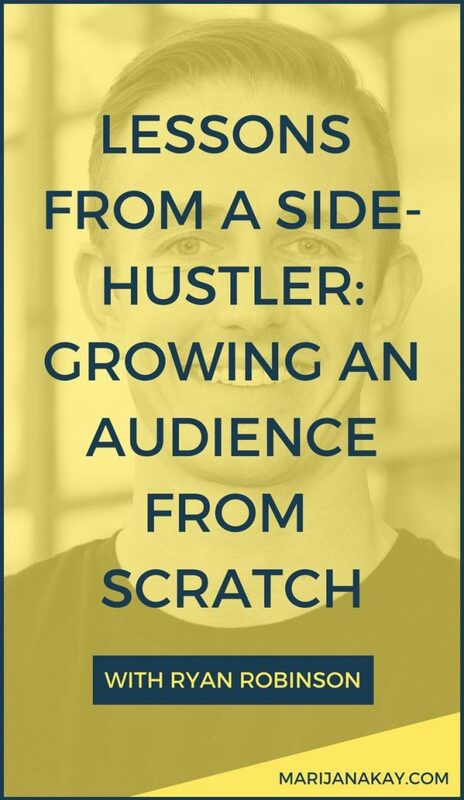 In this episode, we’re talking all about building an audience from scratch. 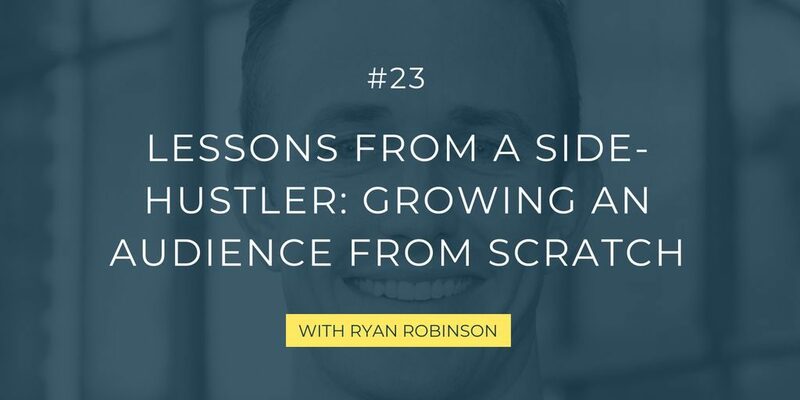 I’m bringing you this week’s insights from Ryan Robinson—he’s a serial side-hustler with a blog that attracts 200,000+ monthly readers! Ryan is a Content Marketing Consultant to the world’s top experts and growing startups. He writes for Forbes, Entrepreneur, Fast Company, Business Insider and more. He works with fast-growing startups to drive content marketing strategy & rapid execution. He also advises 500 Startups portfolio companies on how to grow their brands with effective content marketing. He also hosts The Side Hustle Project podcast. I’m beyond thrilled that you get to learn from Ryan! Say hi to him on Twitter! 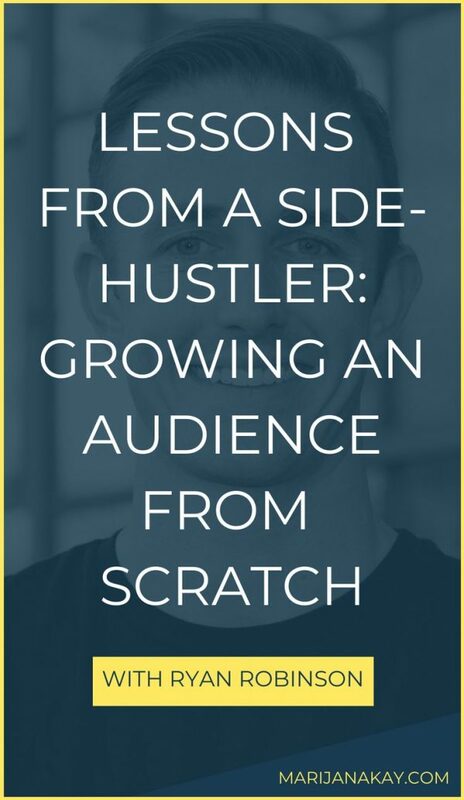 What actions will you take to start building your audience from scratch, or grow the one you already have? Let me know!